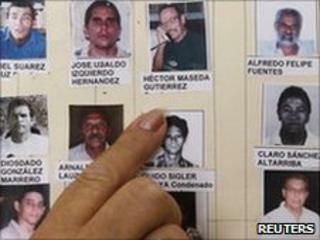 The number of political prisoners in Cuba has fallen from 201 to 167 since the beginning of 2010, the unofficial Cuban Human Rights Commission says. This is almost half the number of political prisoners compared with when Fidel Castro handed over power to his younger brother Raul four years ago. But the commission's head Elizardo Sanchez says the fall reflects a change in the manner of political repression. He says harassment and intimidation are now replacing long prison sentences. A report by the illegal but tolerated Cuban Human Rights Commission cites more than 800 cases of people being detained this year then later sent home without charge. But there are signs that President Raul Castro may be about to release more dissidents. The Cuban authorities were stung by the widespread international outcry, following the death of a jailed dissident hunger striker in February. Another hunger striker, Guillermo Farinas, who is campaigning for the release of the most seriously ill prisoners, is currently in a critical condition in hospital. One paraplegic dissident was released, following mediation by the Roman Catholic Church. Now Spanish Foreign Minister Miguel Morantinos is due in Havana shortly to help support the church's efforts, amid reports from Madrid that 26 sick prisoners are being considered for release.